The Tapelady Corner: Is Painter's Tape Right for You? Is Painter's Tape Right for You? Thanks to some great product placement on home improvement shows, marketing by 3M, and retailers giving more shelf space to blue painter's tape, it has really been a popular choice for end users to buy for their painting projects. Originally, the tape manufacturers developed this product for professional painters to use on outdoor painting jobs. They needed a tape that could withstand the UV exposure, temperatures, weather, etc. for up to 7-14 days without falling off or leaving a residue behind when removed. These products typically had a lower adhesion level than regular paint grade masking tapes and were made blue in color to make it easier for the painters to differentiate from their other masking tape. One can use blue painter's tape for indoor painting jobs; however, you are paying for the UV protection that is not needed indoors. If paying several dollars a roll more than a good quality indoor paint grade masking tape isn't important to you, then by all means go ahead and buy the pretty blue tape. In the retail world, manufacturers have developed other versions of this product catering to the home improvement do-it-yourselfers and smaller contractors, but the price is still higher. Take a look at the products us wholesalers have available. I bet you can save some money on your tape and use it to upgrade something more permanent you can enjoy longer - like a better faucet or tile. 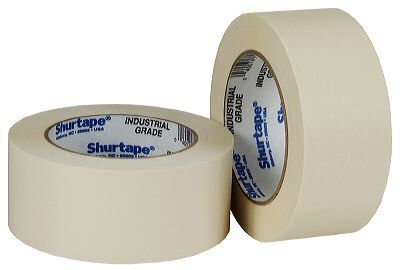 Visit our website to look at all our tape items that can be used for home improvement projects. http://www.tapesolutionsinc.com/ . Hi, thanks for the sharing such an informative article about home improvement and also for the coming to me at the right time. I am going to improve my home next month. So, this one is helpful to me. Already bookmark this site for future reference. Keep up with good work.